Frolicking in the sun with friends during the summer can be fun at first, but after two weeks it can get a little boring. If you’re staying at Penn State for the break, boring will not be a word you use in your vocabulary. Unlike a summer in your hometown, the fun doesn’t stop at State College. The festivals, events and activities are like your FB friends’ political posts–never ending. When it comes to a summer in Happy Valley, you can’t go wrong. 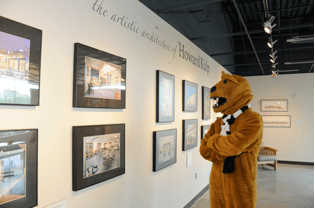 The Central Pennsylvania Festival of the Arts is one of Penn State’s most cherished traditions adored by all students, townies and alumni. The mid-July celebration consists of regional and national artists and live musicians. The five-day festival brings in about 125,000 people to the State College area creating one big Happy Valley. There are also sand sculpture displays, street painting and endless rows of vendors selling their handmade pottery, paintings and art. Penn State junior Jess Twohig, said “I really enjoy Arts Fest because it’s the first time I get to see all of my college friends during the summer and we get to be reunited again.” She recommends checking out all of the pottery booths and food stands while walking around the festival. 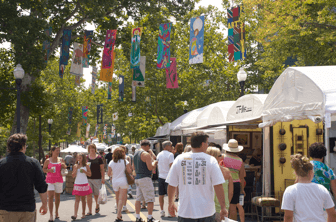 If you do one thing this summer at Penn State, it better be Arts Fest. Need to retake that Chem class you failed in the fall? Want to get ahead? Summer session at Penn State is your answer. The classes are easier and there are fewer students, so you want to take up as much of the teacher’s time as possible. 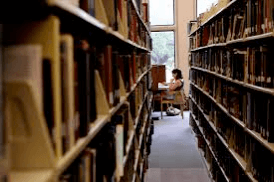 University Park in the summer is less crowded, and that means more open study spots and library cubicles. Although summer school isn’t exactly fun, it’ll help you accomplish something instead of binge-watching Parks and Rec on Netflix (for the seventh time) and waking up at 1 p.m. everyday. Not that I’m speaking from personal experience or anything. 4thFest is full of food trucks, fireworks and fun (cheesy, but true). There’s a huge parade, a 4K run and live entertainment. 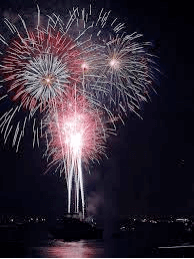 It sounds like any other Fourth of July party, but people really come for the award-winning fireworks that State College displays. It’s ranked among the top five largest and best shows in the country, and VIP viewing tickets are even available for purchase. The 45-minute show will generate tons of “Ooohs” and “Ahhs” while 10,800 fireworks go off in the sky. A summer at Penn State wouldn’t be complete without attending the Fourth of July festivities. Mount Nittany is on every Penn State students bucket list, and crossing it off in the summer requires no effort. The mountain is only a ten-minute drive and takes about two hours to circle the top and walk back down. The spectacular views can be spotted from all sorts of angles when you reach the top. There are ten different ways to get from top to bottom of the mountain with picturesque photo spots at each one. Easier trails are marked out on the maps or if you like a challenge, the more difficult trails are mapped out as well. Open fires are prohibited but camping is welcome. 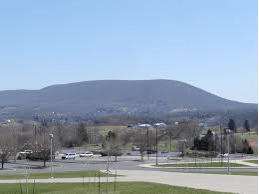 Hiking Mount Nittany will be a highlight of your summer at PSU. During the school year, bars are the go-to move for a Friday or Saturday night. During the summer they are usually the go-to for every night. Penn State isn’t the most crowded place from May through August, making the bar scene easy to get into and the lines nonexistent. 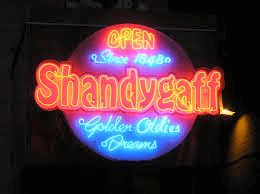 With over 20 bars, barhopping wouldn’t be a boring endeavor (but possibly an expensive one). PSU senior Jenna Hruska said the bars in State College can’t be beat. “The prices compared to my hometown are so much cheaper and it’s just more of a party scene here,” Hruska said. “I love bar tours and getting a chance to participate in them.” Take a night and just go barhopping, trying all the places you missed out on during the school year. When your friends return in the fall you can tell them all the tales of your State College bar crawl. Penn State offers some really cool classes during the summer and I highly suggest taking one if you end up having free time on your hands. Pottery, painting, drawing, stained glass making, digital photos, comic creation and yarn work are just a few of the many workshops Penn State has in the summer. All instructors are highly trained and either Penn State art or art education majors or local professional artists. Some classes aren’t cheap, pottery is $40, knitting is $30 and most painting classes are $35, but they’re a great stress reliever and place to meet new people. Bring out your inner art nerd and let your true colors show with this expressive outlet. Although visiting a cave sounds pretty dull, a tour of Penn’s Cave will leave you thinking otherwise. 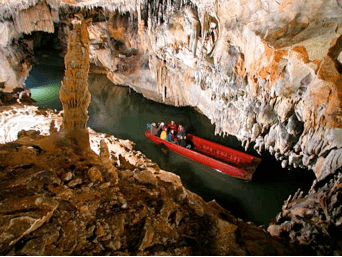 It’s a short 25-minute drive from State College but well worth the trip when you get to see glittering stalagmites and giant columns while gliding down the water cavern by boat. The weather can’t rain on your parade either, because it’s indoor, or “incave.” Penn’s Cave also features a farm nature tour given by bus to explore the mountain trail, forests and animals that roam. They also offer a rock mountain tour, driven by jeep on off-road trails and a labyrinth style, 4,800-square-foot maze. Cave into this exciting historic adventure. You can never have too much wine in Happy Valley. Or anywhere. Established in 1999, the nine-acre vineyard opened up a tasting room in January of 2013 and hasn’t stopped serving since. 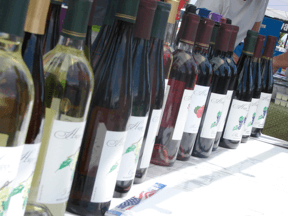 Any five wines are free for the tasting and bottles can be purchased with an assured crisp, fresh taste. The winery prides itself in growing premium grapes with “distinctive character” while also practicing sustainable agriculture methods. From vine to wine, this place will have you feeling fine. 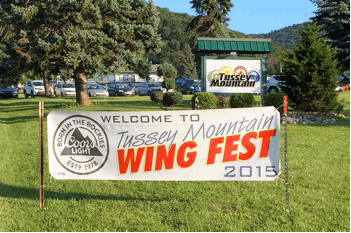 Tussey isn’t just for skiing and snow tubing. The go-karts, batting cages, beer expos, mini golf and Wing Fest (yes, a festival dedicated to chicken wings) are available all throughout the summer. The Wing Fest still draws a crowd, even after being in operation for 17 years. Taverns, pubs and restaurants compete in the ultimate wing-off with guests as the judges voting for their favorites. A winner is announced every week that will then be entered in a final competition on August 25th. If that long list of lively entertainment doesn’t suit you, they also have a skate park and a driving range for the more advanced golfer. On certain Fridays from June to August, Tussey offers movies on the mountain for only two bucks; just bring a blanket and lawn chair and relax. When the snow melts, Tussey Mountain doesn’t mess around. It may sound cliché, but running around outside with friends is what summer’s all about. 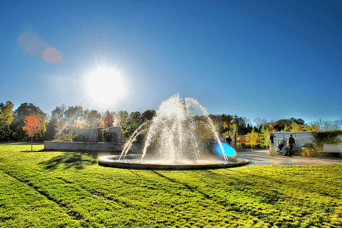 Penn State offers beautiful outdoor facilities, namely the Arboretum. Taking a hike or jog through the garden and back in the woods will leave you feeling refreshed and one with nature. Another open-field activity would be anything on Old Main. Due to the wide open spaces and clear, even land, Old Main lawn contains the picturesque college Frisbee field and yoga yard. Throughout the summer people will tan, hang out in hammocks and throw around a disc. It’s the perfect way to get some exercise while having fun with friends.